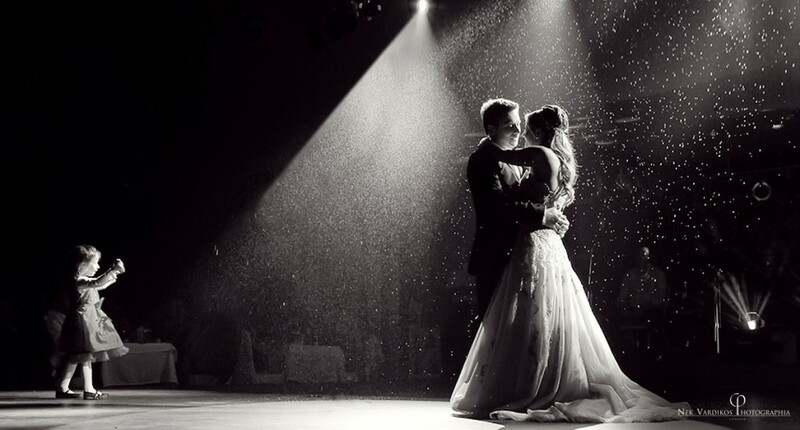 Selecting the right type of wedding photographer is an important decision. You’ll be spending almost as much time with your photographer as with your spouse on the day – so make sure you are compatible! Worrying about whether your dishes including wedding cupcakes and hors d’oeuvres are delicious? The greedy-glutton type of wedding photographer will give you an expert opinion – mouth-first. If you offer him any food he will get bolder and eat even more. Expect to see him in the buffet pretending he is doing food-photography while filling his face with vol-au-vents. Survival Tip: Never leave him alone with the wedding cake. These documentary photographers are heavy on story-telling. They will be taking photos of flower-girls and pageboys running around, old photos that unveil a loving childhood, as well as heirlooms. But what they really live for is an opportunity to capture an emotionally-charged moment. These photographers cry when the father of the bride walks her down the aisle. At the time of speeches expect for soft-focus shots because of their tears. Survival Tip: Don’t leave him/her to organise the family shots. It will take forever to get everyone in the right position to tell the epic story he has in mind. He is a waffler, a real word canon with an Eos Canon. Don’t be fooled. He is not blabbing endlessly because he likes being around people and cares about your opinion. He just wants something to talk about, something to spark his engine. His loud comments and laughter can overpower everything else. Survival Tip: Ask the videographer to remind him that you want the wedding ceremony recorded in video, not his non-stop verbiage. You can’t miss out on this one. He will come with at least 2 assistants, who will be doing all the dirty work for him like setting up the tripods and flashlights, carrying on the camera luggage, driving, etc. He will probably sneer at your decor and order you to redecorate, to his specifications. Don’t try to make the Boss smile or talk to you. These privileges are grudgingly bestowed on the couple alone. Survival Tip: Tell him he is fantastic, one of a kind, you know, all that stuff. He’ll fall over backwards for you. His moves give away his nervousness as he looks down at his watch every 2 seconds. He often complains about time with the excuse that he should leave earlier because of London’s traffic, stressing the bride, hairdresser, that poor woman trying to apply the mascara, the parents, siblings and just about everybody present. This neurotic photographer also exhausts your patience with the zillions of shots he has to take, just in case one isn’t good enough. Survival Tip: Keep him away from energy drinks. He is either the assistant or main photographer, but certainly another narcissist. He might steers clear of hitting on the happy bride, but anyone else is fair game: bridesmaids, cousins, friends even the mother of the bride. Of course, he always has a pack of his business cards, just in case, and two cell phones. Survival Tip: If any guest has gone missing, listen for the mating call of the Lesser-Spotted photographer. He will call you by your first name and could become over-familiar. Don’t be surprised if he shows strong samples of his uncultivated style and addresses your parents as ‘Hey, folks’. Or if he does a funny dance at the party. If you think you can get away with just ordering the photos and never seeing him again, you’re wrong. He is in, no matter what the plan. Survival Tip: Tell him he’s just like one of the family. 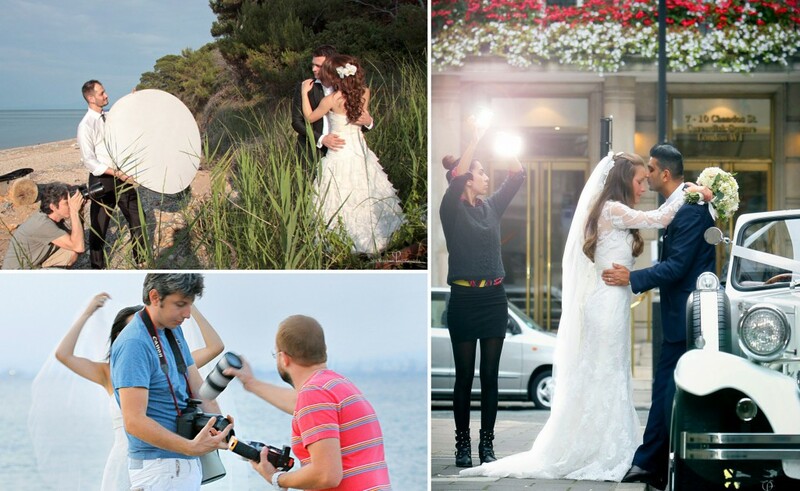 Tell him you want your photography package as his wedding gift to you – for free! He is everywhere showing the same enthusiasm for everything and overtaking uncle Bob. Endlessly energetic, a real fireball full of enthusiasm. He won’t talk much (hates to disturb), he prefers action. As a talented paparazzi he will climb on tables and balance on top of doors to get different angles for the perfect photo. Don’t be surprised if he suddenly emerges from underneath the table, drops out of a tree or jump out of your cake. Survival Tip: Because you never know when he will pop up to take your picture, be alert at all times: even in the loo. He is more than a documentary wedding photographer. His every click is beneficial to mankind (or so he believes)! But the uncouth world doesn’t always appreciate his art. Don’t be taken aback by his bohemian outfit or languid eyes gazing out to distant horizons. He spends more time looking at you, considering how your presence ‘speaks’ to him, than taking pictures of you with his classic FM2. You are the vessel which will sail him towards artistic immortality. Survival Tip: Don’t ask him to take pictures of what you want. How dare you! If you saw Stephen Fry: Gadget Man back in 2012, then you will notice many similarities. This wedding photographer carries at least two bags of equipment he hardly uses; but it’s within reach, just in case. He is passionate about his expensive, state-of-the-art lenses, accessories and gadgets, but always remain dissatisfied. There’s always something new that will be even better. Like his new hybrid smartphone with its extraordinary resolution or his stealth quadcopters collection could take 4D photos! Survival Tip: Never admire his gadgets. He will only start whining about what he hasn’t got, yet. This is the fashionable photographer who cares more about his own image than yours. He never leaves his Billingham camera bag on a dirty floor. Nothing can make him open his fully-buttoned shirt or loosen his London style bow-tie: even a heatwave in a desert. What if he is sweating like a sinner in church? Or feeling so cold that his shaking hands can’t hold the camera steady? His motto is: Whatever you do, be stylish. Lifesaving Tip: Check out his images before you accept his image! Appearances can be deceptive. Mark Twain said, Clothes make the man, but it doesn’t necessarily make the photographer. (OK – he didn’t say the second bit… that was me). He has been there and done that. Nothing surprises him anymore. He knows all the best angles and he takes single, straightforward snapshots. The veteran has experienced it all: five-hour delays, snowstorms, bridegrooms with a change of heart; secret lovers and illegitimate children showing up. He gets the job done, no matter what, and infuse everyone with Zen-like serenity and calmness. Survival Tip: Never ask him for help if things go wrong. All you’ll hear is “Relax, everything will be fine”, even if there is a lion on the loose and you’re wearing a wedding dress made of steak, like Lady Gaga. All photography and text copyrights reserved by Nek Vardikos Photographia & Video, registered in England and Wales. They are protected by international copyright laws and the Copyright, Designs and Patents Act 1988. Any unauthorized copying or modification is prohibited. Please ask for permission before reposting.